Main Blog > Neatorama Spotlight > Can You Find All 16 Hidden Faces? Can You Find All 16 Hidden Faces? 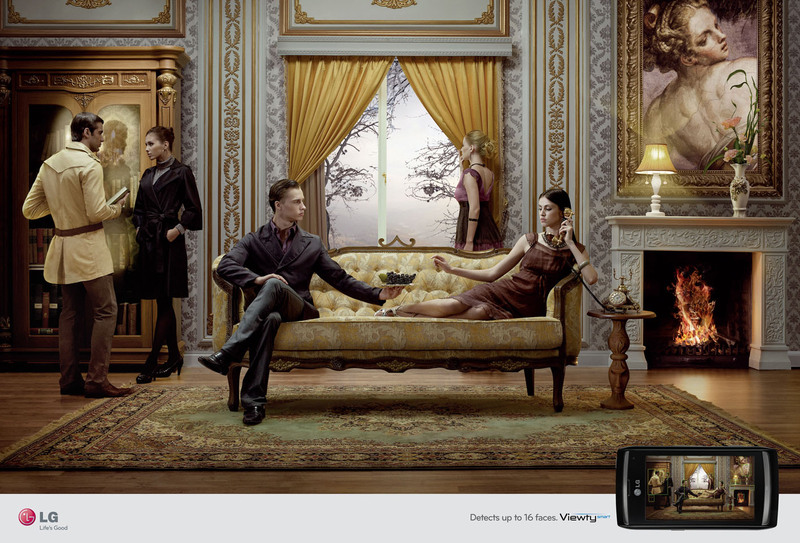 At first glance, you'd expect to see the faces of five people and another one in the painting for a total of six but this ad for LG's Viewty mobile phone tells us that there are sixteen. Can you find the remaining ten hidden faces? Ready? Set? Go tell us in the comments (hint: the mobile phone's screen outlines the hidden faces). "Can You Find All 16 Hidden Faces?"